Dream Yoga may be the earliest method of lucid dreaming, a training originated in Tibet over 1,000 years ago. 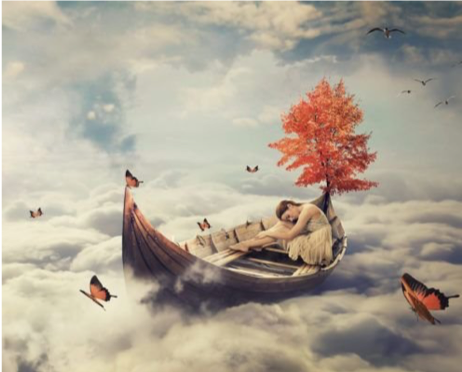 Studies have shown Dream Yoga and lucid dreaming, has many benefits – boosting creativity, shedding addictions, transcending phobias, improved performance in sports and at work. Research has also shown Dream Yoga can improve your physical wellbeing and healing of serious illnesses. If you can imagine, the average person has spent one third of their life sleeping. So, if you are 30 years old you have literally spent approximately 10 years of your life sleeping. The ancient Tibetan belief of Dream Yoga will tell you, an untrained mind, during sleep, is like sleeping in ignorance, no sense of what is happening. Or no sense of growing or development. But through the ancient Tibetan Dream Yoga practice, you can…. Learn to guide your mind with positive thoughts, attention and awareness during your sleep. You will learn to introduce positive thoughts to change negative thoughts or problems during your sleep. You wake with a renewed sense of awakening of a light from within. Through Dream Yoga practice you can elevate and shine a beautiful light towards your personal and spiritual development. Dream Yoga helps us to discover limitations we are not conscious of. We can clear deep blockages and are able to discover and enhance our inner most qualities to improve our productive every day life. We can learn to visualize and improve our life through Dream Yoga. Geshe YongDong, a Tibetan Yungdrung Bön master, will, during this Dream Yoga retreat, teach you the clear light practice of Dream Yoga from the ancient text Bön Mother Tantra (Magyu). Learning Dream Yoga can open a door to your experience of the true nature of mind. This retreat is open to anyone interested in improving their life through Dream Yoga. You will leave this retreat with a sense of awakening in all directions of your life. Imagine, being able to change your life in a positive directions through your sleep! This retreat will be held at the Yeru Retreat Center, located in Emily MN. Yeru Retreat Center is a private resort surrounding Garuda Lake. Peaceful, healing and energizing. The perfect background for this Dream Yoga Retreat. Two and one-half hours by car from Minneapolis. You can fly into Minneapolis airport, rent a car or sign up for a Yeru Shuttle ride. We know people have concerns about mosquitoes and ticks. We have discovered a new organic treatment to prevent mosquitoes and ticks. It works. So, do not worry about mosquitoes and ticks within the retreat center. If you plan to take a hike, we have organic products you can apply so you can continue your beautiful time at Yeru Retreat Center. This retreat will be held at the start of summer here in Minnesota. So you will witness a beautiful rebirth of all the trees in our forest. The eagles soaring, deer are excited to swim in the lake and more amazing wildlife are excited to be out enjoying the sun shine and the warmer weather. During your free time, take the canoe or kayak out on Garuda Lake to add to your experience of Geshe Yongdong’s Dream Yoga teaching. These two combined is a powerfully great mix! We ask all students to arrive the day before the retreat starts, May 31, 2019. This will ensure everyone is ready to start the retreat on time with no interruptions and we ask that you stay until the end of the retreat to keep the energy consistent. Housing Options: All housing options come with linen, blankets/comforters, table, chairs, and heat. King Bedroom with Private Bathroom. The retreat fee does not include housing fees. Deposit of $300.00 will hold your place at the retreat and your housing options. If you placed a deposit, your entire fee for the retreat and housing must be paid by May 1st, 2019. $480.00 Early Registration by December 15 , 2018 (If you place a deposit to hold your housing, you must pay for the registration by February 1, 2019 to be granted the early registration fee). $580.00 Registration after December 15, 2018 (If you place a deposit. you must pay for the registration by March 1 , 2019 to be granted this fee). But if you prefer, you can stay at one of the hotels in the area. You will need to arrange for transportation to and from Yeru Retreat Center. Meals: Meals are included in your fee for the entire retreat. Fresh non-processed meals will be available for everyone. We accommodate vegetarian, vegan and gluten-free diets. Transportation: Yeru Bon Center will arrange a shuttle to leave Minneapolis on May 31, 2019 at 1:00 p.m. from Minneapolis Airport area. The van will return back to the Minneapolis Airport on June 6th at 8:00 a.m. If you are traveling by plane, do not plan a flight to leave on June 6th before 2 p.m. It is a 2.5 hour drive if you do not stop, but many times, there are stops, which is alright, but please plan accordingly. There will not be any changes on the shuttle’s schedule. So please, if you arrive after 1:00 p.m., after the shuttle leaves, you will need to find your own way to the retreat center. If you need to stay one more night to take a morning flight on the 7th, talk with Deborah for accommodations. If you plan to rent a car, this really is a beautiful ride to the Yeru Retreat Center. You will pass farm country, then lake country, Indian Reservation and more lake country before you arrive at Yeru Retreat Center. Watch for deer in the area. Enjoy the Eagles soaring. If you are renting a car, you are not restricted to staying and can leave after the retreat is over. Deposit: You may place a deposit of $300 for this event with monthly billing. This will hold your place and housing. Your fee is refundable, less a $75.00 processing fee, if your reservation is cancelled by April 15th, 2019. Refundable 50% if your reservation is cancelled after April 15, 2019, and non-refundable after May 20, 2019 . If you cancel after May 20, 2019, we will apply your payment to another Yeru teaching held within one year. 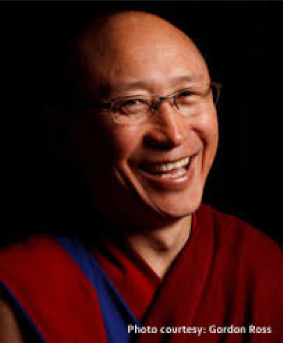 Geshe YongDong was born in the village of Nagpa, Amdo, Tibet in 1969. By the age of 7 he lost his mother and started to think about becoming a monk. But his family had other plans for him. GesheLa, at the age of 10 worked herding sheep and yaks in the Himalayas. It was dangerous work for a young boy who had to travel along through the cold, dark mountains. But he learned to experienced utter silence and to be along with his fears. By age When he was 13 years old, he entered the Nangzhig Bönpo Monastery, the largest Bön Monastery in Tibet. In March 1992 at age 24, he was awarded the Rajampa Geshe degree. In the spring of 1992, Geshe YongDong with 10 other Tibetans, escaped from Tibet into Katmandu, Nepal. With the help of a Nepalese guide, they walked for 10 days through the Himalaya mountains. He continued his studies and received transmissions and empowerments while residing in Dharamsala India from H.S. the 14th Dalai Lama. From there he continued his studies at sMenri Monastery, the seat of Yungdrung Bön in India. He received his in-depth studies on Sutra, Tantra and Dzogchen from His Holiness, the 33rd sMenri Trizin and Ponlop Trinlyi Nyima Rinpoche . 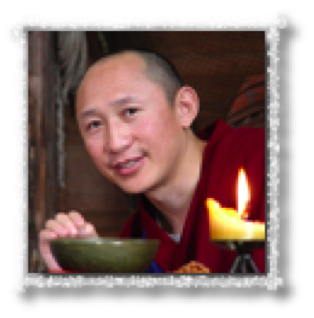 Geshe YongDong is the founder and Spiritual Director of Sherab Chama Ling in Courtenay, BC Canada. Bon Da Ling in Costa Rica and Sherab Chamma Ling Columbia. Yeru Bön Center is so happy to have GesheLa back to teach Dream Yoga.